Key difference: Both, AVI and MP4 are file formats mainly used for playing videos with audios. AVI and MP4 are not encoding formats, but are container files, i.e. basically wrappers for formatted video files. The main difference between the two comes not from the formats itself, but from the types of codecs used within the files. 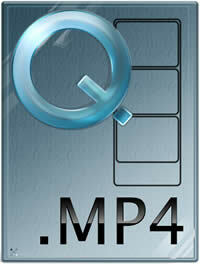 Both, AVI and MP4 are file formats mainly used for playing videos with audios. However, what most people do not realize that AVI and MP4 are not encoding formats, but are container files, i.e. basically wrappers for formatted video files. The main difference between the two comes not from the formats itself, but from the types of codecs used within the files. AVI stands for Audio Video Interleave. It was included as part of the Video for Windows technology. It was developed by Windows in reprisal for the MOV file format, developed by Apple computers. Similar to MOV, AVI contains both audio and video data in a file container, which allowed for synchronous audio-with-video playback. A container file specifies how the data streams inside it are organized. The actual organization and representation of the data streams are done by the various types of codecs (encoder/decoder). It is the codecs that affects video quality and compression. It describes how video or audio data is to be compressed and decompressed. Each AVI file will differ only on the basis of which codec is used. Hence, two AVI file can either be similar if they are using the same codec, or they can be completely different, if they are using different codecs. However, at the time of its development, AVI did not have the sophistication of QuickTime, nor its advanced features. Microsoft later opened the format to OpenDML group in order to develop it. Eventually, Microsoft dropped the AVI format in favor of their WMV format. 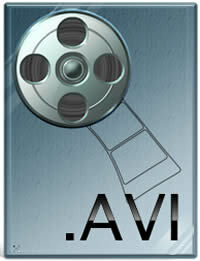 AVI, in turn, later became the format of choice for pirated movies, probably due to the simplicity of the program. Generally, AVI tends to be larger than most video formats. This is mainly due to minimal compression features available. Also, depending on the codecs, an AVI file may support multiple video or audio streams. Currently, AVI is the most popular and commonly used file format. It is supported by many video players, as well as some mobile devices. MP4 is essentially the official filename extension for MPEG-4 Part 14. MPEG-4 Part 14 is a standard specified as a part of MPEG-4. The MPEG4 MPEG-4 is a method of defining compression of audio and visual digital data. It was introduced in late 1998 by the ISO/IEC Moving Picture Experts Group (MPEG). MPEG-4 was designated as a standard for a group of audio and video coding formats and related technology. MPEG-4 can be used for compression of AV data for web, as used for streaming media, for CD distribution, as well as for voice broadcast television applications. MPEG-4 Part 12 was developed from the Apple’s MOV file and eventually resulted in MPEG-4 Part 14, which is the MP4 format. The MP4 is a container format. This means that it can be used to store audio and/or video data. MP4 video and audio can also be streamed over the internet. MP4 uses codecs that dictate how the audio or video will be coded. Advanced Audio Coding (AAC) is the most popular codec for compressing audio in MP4 format. MP4 does not have a standard method of coding the audio or video information. It is the codecs that affects video quality and compression. Each MP4 file will differ only on the basis of which codec is used. Hence, two MP4 file can either be similar if they are using the same codec, or they can be completely different, if they are using different codecs. MP4 is a container format used to store audio and video files. It can even store subtitles for a video file. As a container, MP4 can save audio and video files that have been compressed in different fashions, including as MPEG-4. MP4 is not concerned by how the images are compressed and converted into data. It is just concerned with is how the data for video and audio are stored within the file as well as other relevant information like subtitles, chapters, etc. MP4 files can also contain metadata as defined by the format standard, as well as Extensible Metadata Platform (XMP) metadata. Nice and easy to read and well done on doing this.